Product categories of Ice Bucket, we are specialized manufacturers from China, Ice Bucket, Metal Ice Bucket suppliers/factory, wholesale high-quality products of Beer Ice Bucket R & D and manufacturing, we have the perfect after-sales service and technical support. Look forward to your cooperation! 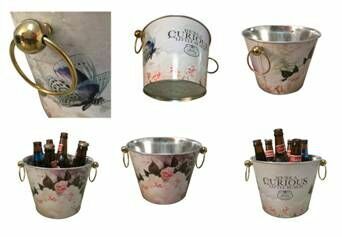 Ice bucket is mainly used as a container for beer, and it is suitable for various bar parties, family picnics and gardens. The main material is galvanized iron and tinplate, and the thickness of the barrel is 0.28mm and 0.35 mm. As for the size ,color logo and the handle type of our high quality bucket, it will be customized according to the different needs of customers. 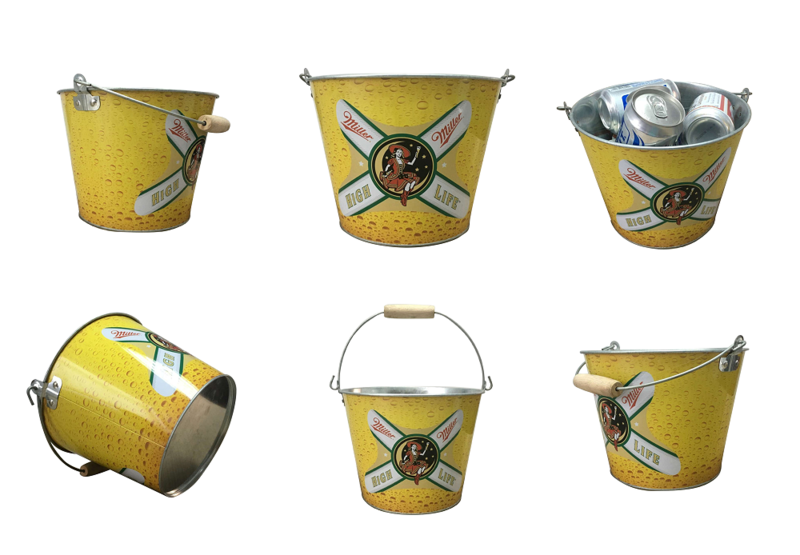 And our bar buckets are relatively cheap, durable and easy to use. 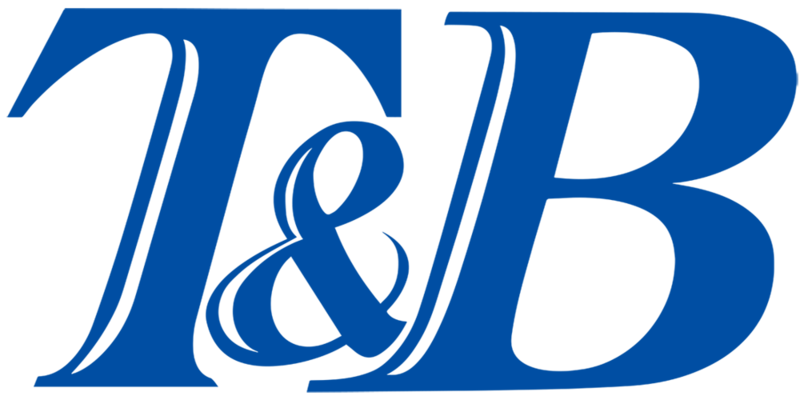 we will pay more attention to details, develop and innovate with advanced manufacturing technology.